The procedure listed below is for the LH side. (a) Remove the bolt and separate the No. 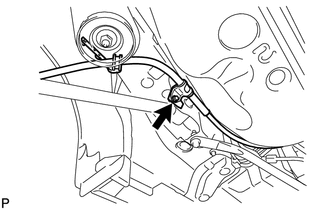 3 parking brake cable assembly. 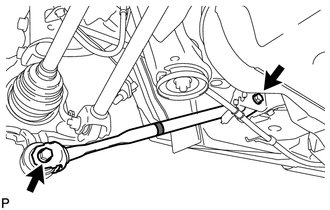 (a) Remove the 2 bolts, the 2 nuts and the rear strut rod assembly. 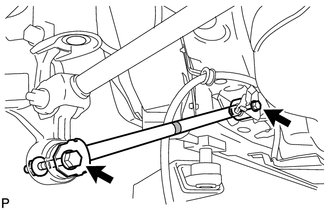 Since stopper nuts are used, loosen the bolts.